Marjorie, Arnie, and many guests walk the floor and discuss the collectibles on display–and The Force Awakens! 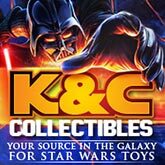 The Yakface Toyguide updates resume today as we take a look at the 2015 Convention Exclusive General McQuarrie Mini Bust from Gentle Giant. PROS: Anything that results in more tributes to the iconic Ralph McQuarrie is okay by me, but it does come at at price. The overall sculpt and paint are good with crisp details especially on the jacket and (non-removable) cap. For fans of Ralph McQuarrie and the Original Trilogy, this should be a welcome addition to your mini bust display. CONS: The prices for Gentle Giant bust have steadily crept up over the last few years and this one falls victim to that trend as well. 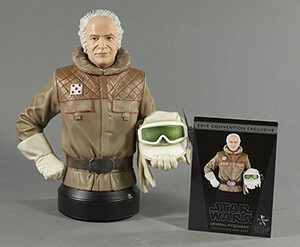 It is an exclusive, and it is McQuarrie, but $120.00 is pretty steep for this non-deluxe bust. Head to the toyguide for the full image gallery and to judge for yourself whether this bust is worth adding to your collection. Frank Diorio from Diorama Workshop has posted a follow up video recapping the hugely successful Cloud City Diorama Build from Celebration Anaheim. Give it a watch and be sure to subscribe to the Diorama Workshop YouTube channel. Join Corey, Dan, Chris, Stephen and Jayson as they wrap up Star Wars Celebration Anaheim experiences. Chewie, we’re home (still) after one of the biggest Star Wars events in recent memory so we’re back this week to discuss the highlights of Celebration Anaheim! There was a lot of news to come out of those four short days, including film, TV series, and game trailers plus new product reveals from the top license holders. But enough description, watch/listen to Episode 60 of The Realm Recap! Q: The Black Series line, as it is, is it continuing on to 2016 and beyond? A: Yeah we have no plans to stop Black Series. It’s doing really well for us. We revealed the new Fall 2015 line look. It’s moving forward. 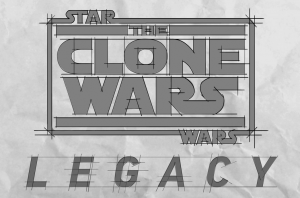 We’ve had a lot of fans ask about Vintage and Droid Factory, both things we definitely want to get back to in the future but Black Series in terms of our pinnacle figure expression, that’s what it is and that’s how it’s continuing.